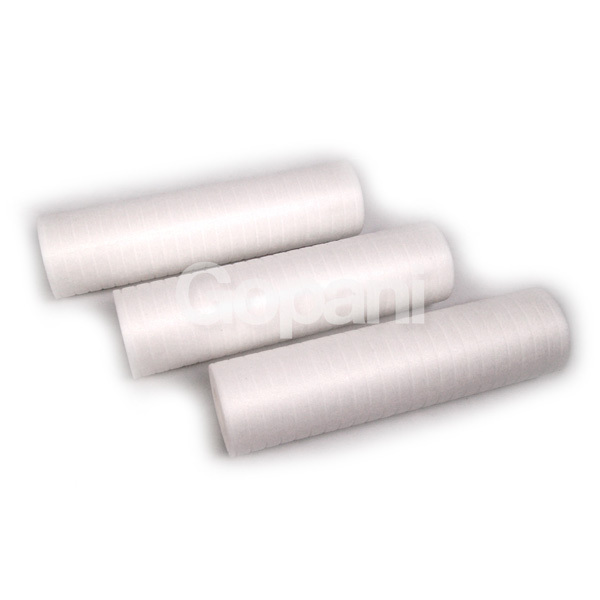 Our melt blown cartridge filters are produced using cutting edge technology and supreme quality raw material. 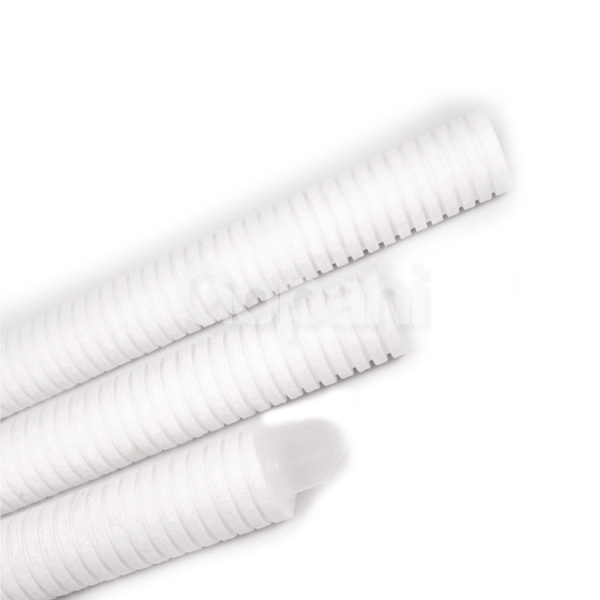 Melt blown filter cartridges are produced from polymer granules, mostly polypropylene. 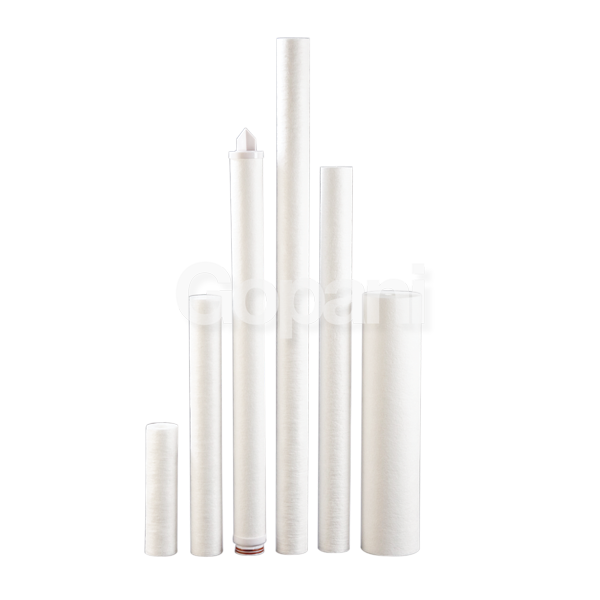 The granules are melted, extruded, and blown onto a rotating spindle in such a fashion that a gradient structure is formed. Hence, the density increases incrementally towards the centre of the cartridge filter. As simple as it sounds, the process requires modern and sophisticated technology to offer gradient density. 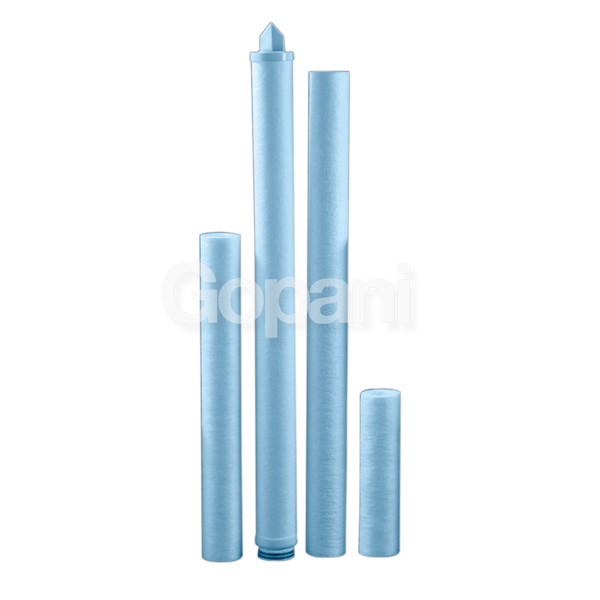 The raw material of the filters should be virgin and of good quality else the downstream equipments are compromised. 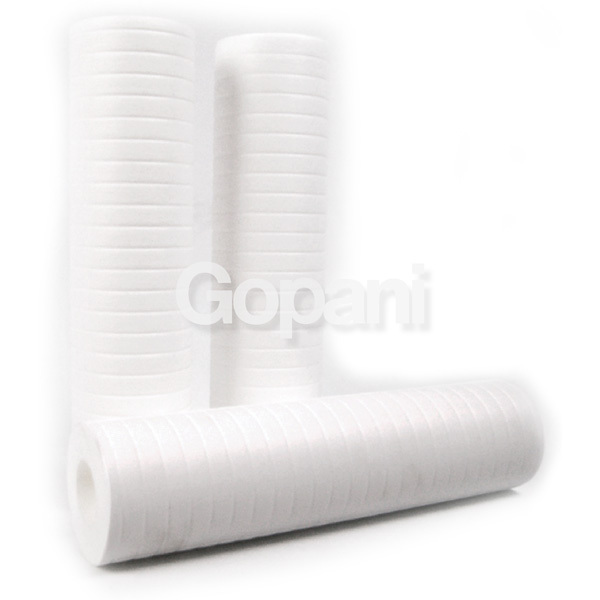 At Gopani, we utilize the cutting-edge technology and the finest raw materials to produce our melt blown cartridge filters. 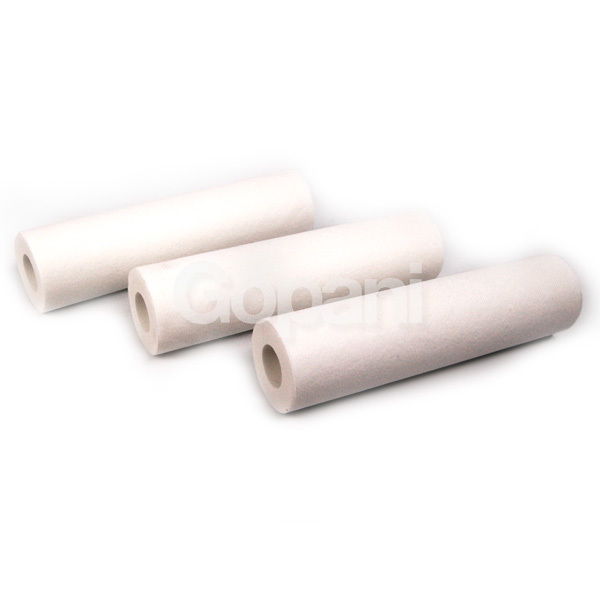 Economical, efficient, and long-lasting melt blown cartridge filter. 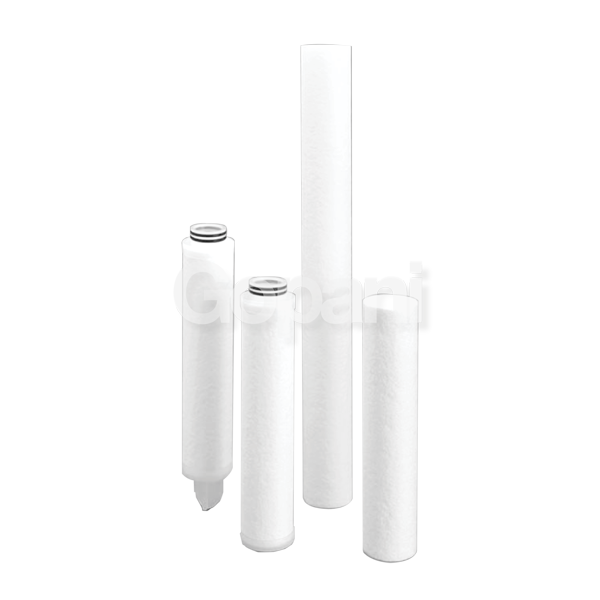 FDA compliant high efficiency melt blown cartridge filter produced by Entegris. Bi-component and bi-layered cartridge filter. Unique construction for higher efficiency and longer life. Sekiso G is specifically designed for dealing with viscous fluids. It takes an unparalleled expertise in filtration, and cutting edge technology to build products like Miracle Star.